Forbes San Francisco Business Council is an Invitation-Only Community for Business Leaders. 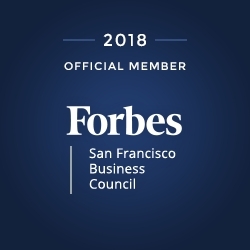 Union City, CA, August 29, 2018 — Matt Yearling, CEO of PINC, the leader in robotics, drones, and Internet of Things (IoT) solutions for the supply chain and logistics industry, has been accepted into the Forbes San Francisco Business Council, an invitation-only community for business leaders in the San Francisco Bay Area. Forbes San Francisco Business Council has its own criteria for acceptance, which includes business growth metrics (such as annual revenue) and the member’s personal achievements and track record (such as business awards and community recognition). In addition, an application review process ensures that only the highest caliber professionals are accepted. Matt Yearling is a seasoned executive and joined PINC as Chief Executive Officer in 2013. Matt has an extensive executive track record of developing market leading ERP, CRM, Supply Chain, and Security solutions for companies including Oracle, Symantec and Sage. Yearling holds a H.N.D. in Electrical and Electronic Engineering from the University of Plymouth, England, and a M.S. in Technology Management from Pepperdine University. For more information about Forbes San Francisco Business Council, visit forbessanfranciscocouncil.com. To learn more about Forbes Councils, visit forbescouncils.com. For more information about PINC, visit pinc.com.